Looking forward to giving a lecture on some of my recent glass commissions at Ely Cathedral on 4th Oct 2017. 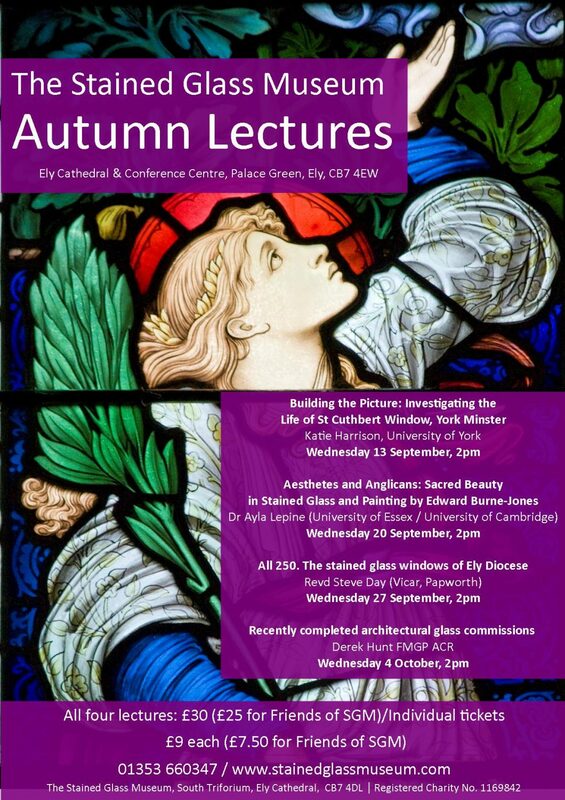 The Stained Glass Museum Autumn Lecture Series takes place on Wednesday afternoons, at 2pm in Ely Cathedral Education & Conference Centre, Palace Green, Ely, CB7 4EW. Refreshments will be served after the lecture.